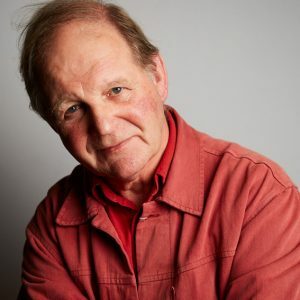 Michael Morpurgo is a master storyteller and has won countless awards. A former Children’s Laureate, he has written more than 100 books for children and is a timeless campaigner for children’s reading. At the last festival he gave an unforgettable reading of his book War Horse. This time he brings to the festival a world premiere of a book he himself describes as his most personal yet, In the Mouth of the Wolf, a thrilling tale of courage, fear and hope in the Second World War. Thirty years ago he and his wife, Clare, founded the charity Farms for City Children which has now enabled 60,000 children to spend a week on the farm. Michael was knighted in 2018 for his services to literature and charity.